You probably won’t be too surprised when you hear us say that Thailand is an amazing place, overflowing with cultural celebrations that we never tire of partaking in. From water fights to ghosts to home-made rockets, there’s always something going on to stimulate the senses. 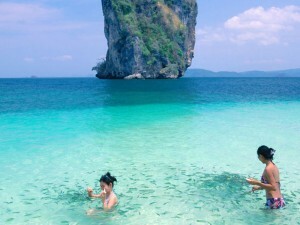 However, with Thailand consistently placing among the top tourist destinations in the world, and social media making information about said cultural celebrations easier to spread far and wide, some of our favorite festivals have lost some of their down-home charm and ‘undiscovered’ local flavor. That is… if you follow the crowds, which, fortunately, we excel at not doing. One of our favorite times of year is around the Yi Peng and Loy Krathong festivals which, to the uninitiated, often seem so similar as to be considered the same thing, which they are not. This hasn’t been helped by the influx of tourist crowds in recent years blurring the lines a bit as local infrastructure races to keep pace with demand, resulting in some loss of nuance in differentiating the two. 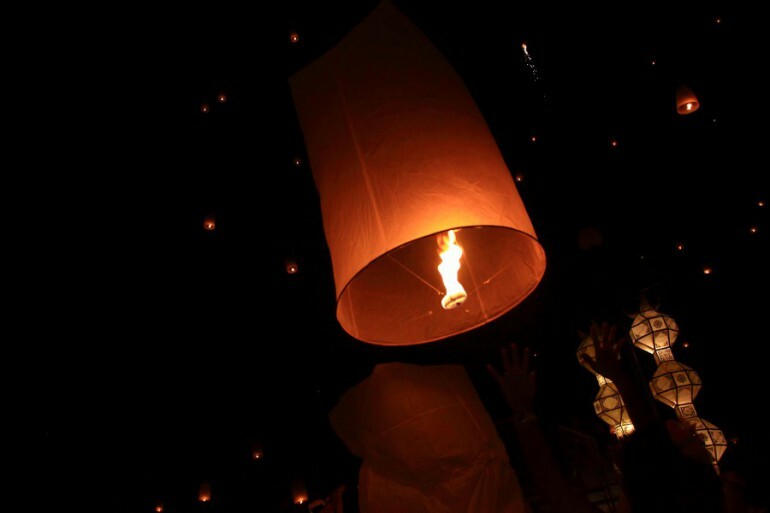 In 2019, Loy Krathong will be celebrated on 13 November. Its origins go back centuries, and thought to have come from a Brahman ritual that was co-opted by Thai buddhists to honor Buddha and Phra Mae Kongkha, the goddess of water. It was celebrated during the full moon of the 12th month of the lunar calendar (November, to us Gregorians). Loy Krathong is definitely one of the most beautiful Thai Festivals, with lanterns bobbing on every body of water one can find and paper lanterns sent high into the night sky. Yi Peng, on the other hand, will be celebrated on 13 November and involves paper lanterns and fireworks. Hang on… that’s almost exactly the same thing as Loy Krathong, so you can see where the confusion lies. The difference is that Yi Peng originated from the Lanna Kingdom (now Northern Thailand) and was a way to celebrate the coming of the cool season. It began on the full moon of the second month of the Lanna calendar, which was different from the lunar calendar that Thais once used. So, while the celebrations are very similar, they both honor very different things, and originate from very different areas. For a western analogy, try thinking about the difference between a catholic wedding and a jewish wedding. To an outsider, both look almost identical, but to those who take part, each has very different origins and customs that make it a uniquely special celebration. But hey, no one is saying you have to celebrate only one or the other – if you find yourself in Northern Thailand mid-November, celebrate both! As we mentioned, it’s the beginning of high season in Thailand, and the crowds can be a bit daunting, but thankfully, we have spent years (decades!) learning the ins and outs of doing Loy Krathong and Yi Peng the right way, avoiding the biggest crowds and digging deeper into the origins and spiritualism of the festivals. Now’s a good time to plan a trip to Northern Thailand this November with us, we’ll make sure you take home great lasting memories!